We’ve all heard the term “less is more”. And we’ve been told this applies for landing pages too. I.e. your forms should be short and only ask for only the bare minimum of required information if you want to convert. However, when used across the board, this advice can backfire. They’re going to need to talk to someone to get an answer to their question (they’re well aware you can’t give a customized quote from such limited info), plus, prospects are very reluctant to give their information out to just anyone. They can click the back button and find a competitor that will give them what they want faster. So why would we expect a form with super generic fields to be compelling enough for someone to engage with us in all cases? As we’ve found at our agency KlientBoost, by increasing the amount of steps and the amount of form fields, we could actually increase conversion rates. The key here for us has been the order in which we present our steps and what info we ask for first. Can more form fields really increase conversions? You can find the sources for the above here, here, and here. 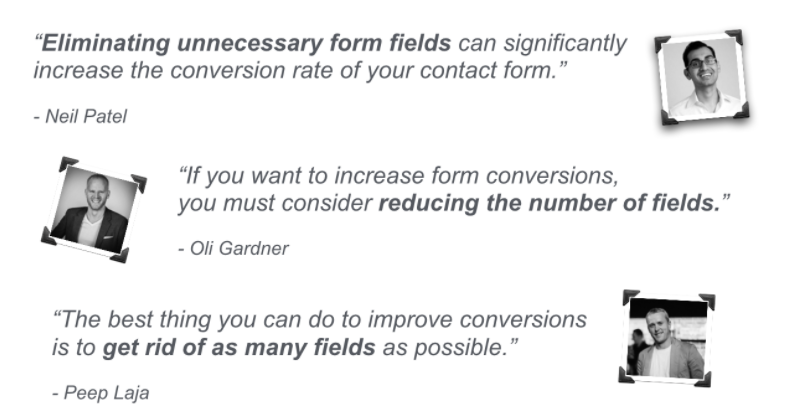 And while there are certainly cases in which fewer form fields are best, we’ve found adding more of the right form fields in progression can help ease conversion anxiety. 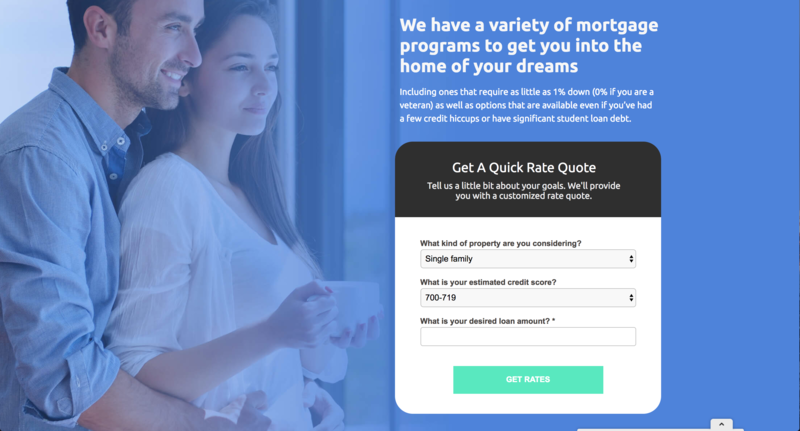 When done correctly, it can take your free quote/lead generation landing pages to the next level. At our agency we call our multi-step form approach the Breadcrumb Technique – think Hansel and Gretel where the breadcrumbs lead them in the right direction. 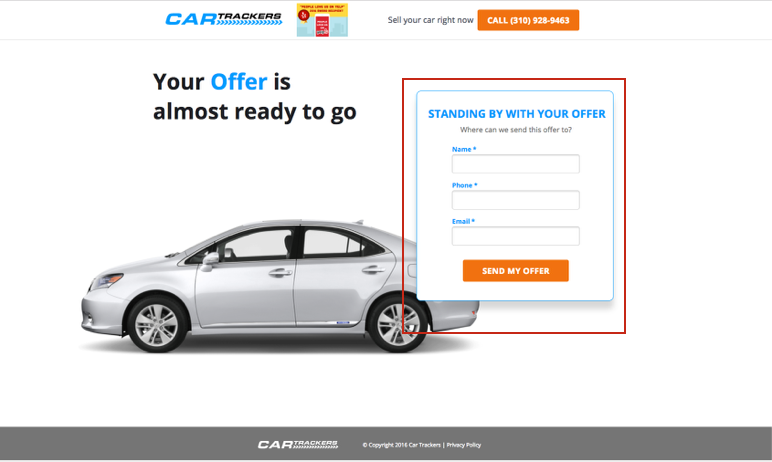 This is the landing page version of the sales technique called the “Yes Ladder”. It’s the art of eventually getting to what you want (the conversion) as a marketer, by getting visitors to say yes to much smaller requests first. Click above to see a larger image of our landing page form flow. As each step progresses, the questions become more personal in nature. 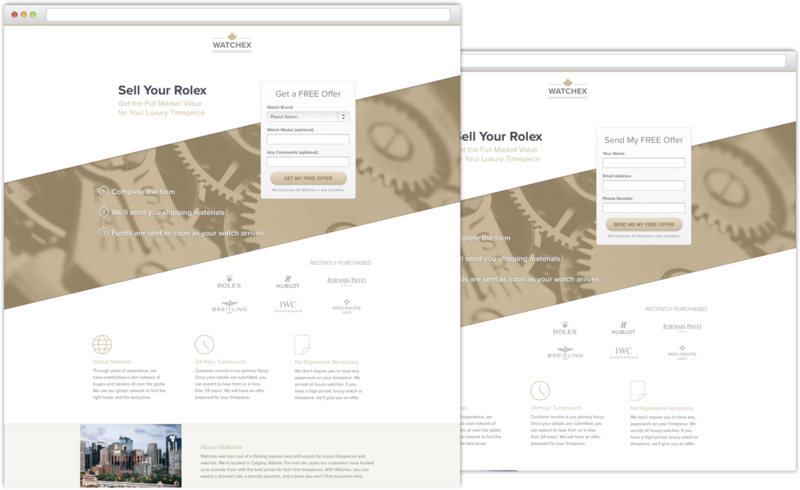 Instead of having one page and one form to capture leads, you spread the form fields across two or more steps. So potential leads that visit the first page via your ads will fill in a short form and, after clicking the CTA button, they’re directed to the next step. What kind of property are you considering? All fairly low threat questions that allow the prospect to stay anonymous but feel like they’re going to get a quality answer they’re looking for, tailored to them. This step asks for more personal information, but logically reminds the prospect we need this information to send custom rates their way. And while I can’t share the nitty gritty numbers of this test, I can share some high-level results. After the multi-step changes were made in the form above, we were able to bring in 35 more leads for ZipLending from March 2017 to May 2017. The client also noticed they were really high quality leads because of the qualifying questions we had included in our first step. 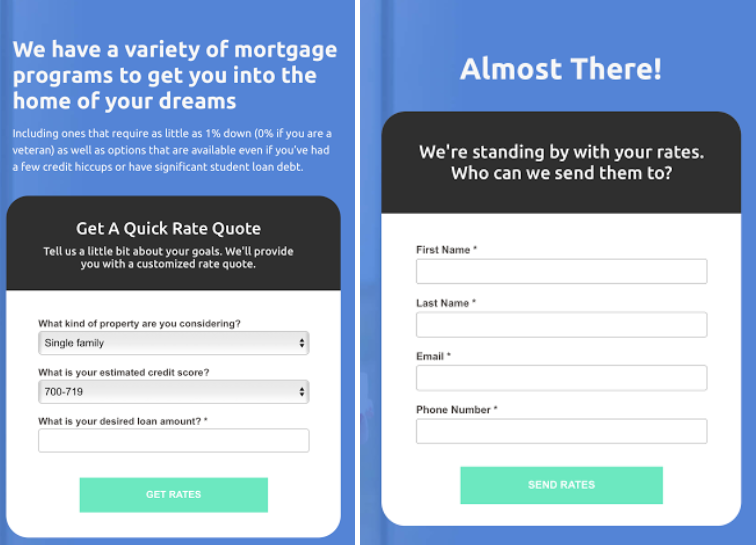 Depending on the industry you’re working with and the typical value of a lead, 35-66 more leads in a given month can be a huge upgrade for a client and it’s why we’re thrilled to be able to deliver this via the multi-step form approach. 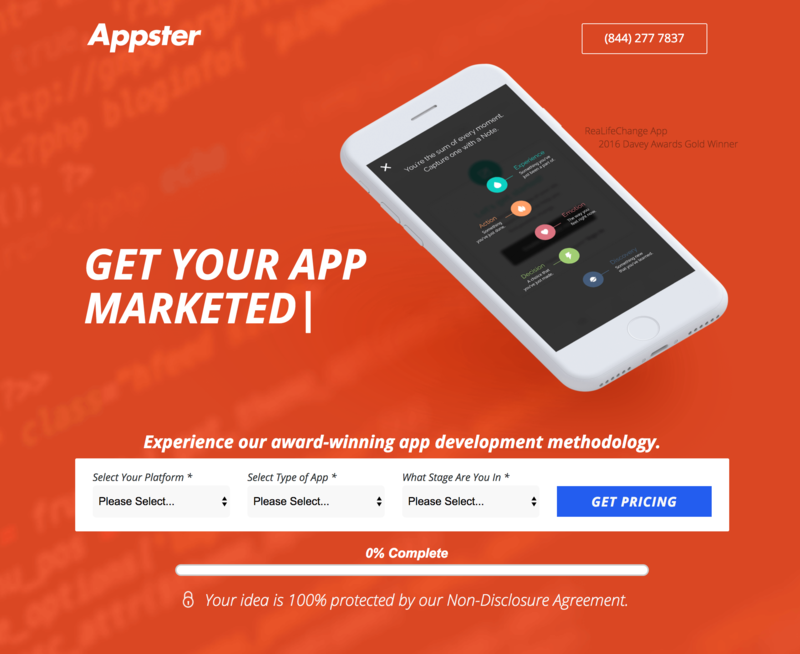 If you want to try this with your landing pages, on the first step form, you set up questions pertinent to what the prospect might ask had they called you on the phone. This establishes the custom nature of what they will receive in return. In the particular example we’ve outlined above, the visitor is interested in getting a no-obligation quote. So surely we’d need certain information on what they’re looking for to be helpful, and because the prospect understands this they’re more willing to participate for the perceived, increased value. 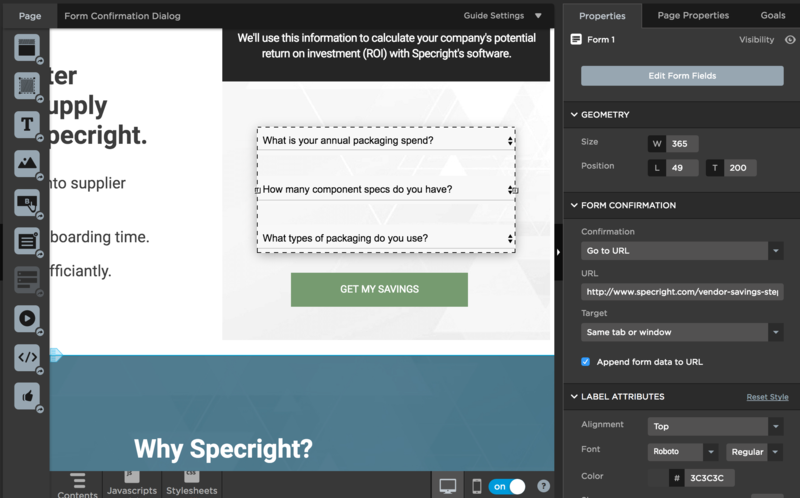 Replacing highly personal, red-flag-raising questions in the first step with questions that help the prospect hone in on exactly what they’re looking for will not only grow your conversions, but often improves lead quality as well. Additionally, on the ZipLending page, notice the the headline changes between step one and two to let people know that they’re not yet finished with the process. The “get rates” CTA button text also changes to “send rates”. If the language does not differ from your step one to step two, this could cause a drop in conversions as people may think the form just refreshed and they’re done with the process. Remember: all your landing page forms need to be GDPR compliant by May 25, 2018 (featuring privacy policies and opt-in checkboxes). Learn how to make your landing pages compliant by design here. 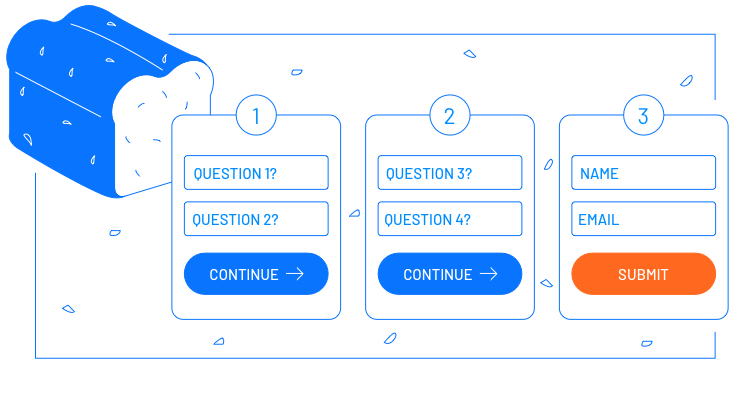 After filling out the initial questions in step one, the last step of filling out the more sensitive fields like name, email, phone number becomes much easier because of compliance psychology. In other words, once you commit to small things, you’re more likely to continue onto bigger commitments aligned with your initial decision. Scott Fraser and Jonathan Freedman also conducted research on how to get people to say yes. They went door to door asking people to put up a sign that read: “Drive Carefully” in their front yard, but only 20% of people agreed to this. They then did the same test in a nearby neighborhood, but this time they asked people to put much smaller signs in their yard. This created the opportunity to get them to eventually say yes to putting up the original, larger signs. Next time around, 76% people agreed to put up the larger signs compared to the original 20%. Psychology baby! The first form step asks about what the prospect needs. The second step, reminding the prospect that what they want is almost ready to go. Notice how the first step asks for make, model, and year of the car. In this first step, make sure to ask questions that are super easy for the visitor to answer, but also strongly relate to your offer. 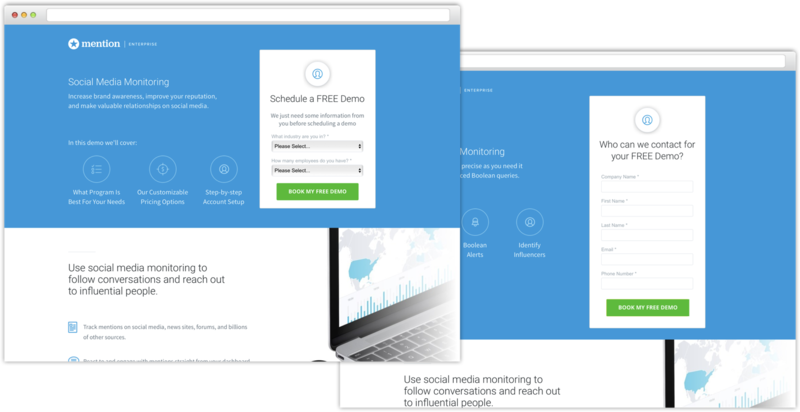 What’s cool is that this multi-step landing page technique has worked for us at KlientBoost several times for different clients. 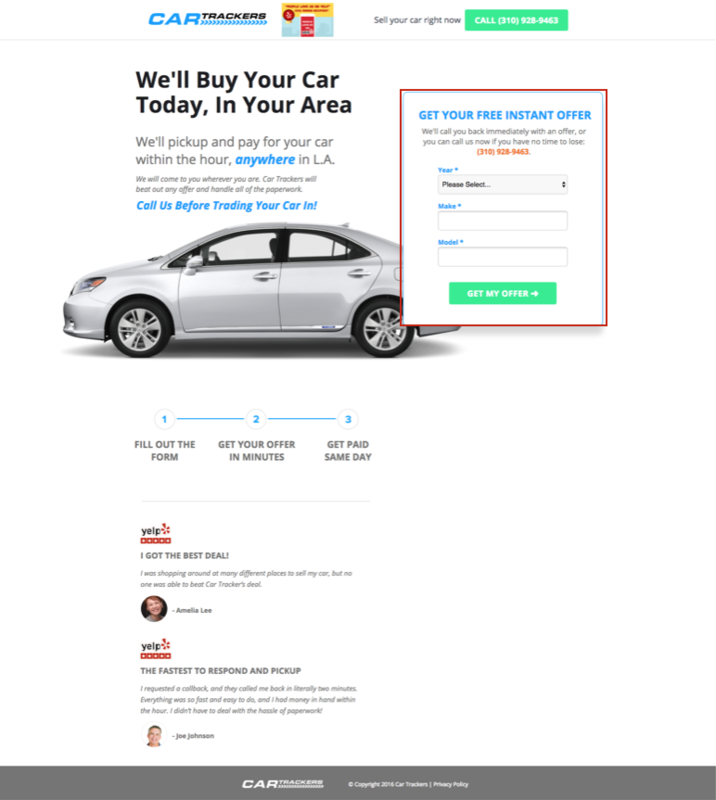 Another client example: Auto Buyer’s. Step 1 says 0% complete. Step 2 let’s the user know that this is the last step before completion. The wizard signals to people just how much they will need to fill out, which can help ease any uncertainty about how much information is required. In our experience, we’ve found it works best to include the wizard starting on the second step form fields and not the first. Visitors are more likely to continue through the whole process if they start the process, as per compliance psychology. How do you try out The Breadcrumb Technique on your Unbounce landing pages? It’s easy! Instead of having your usual one-step form, head to your form confirmation dialog and make your first-step’s form destination direct to the url of your second step (See below). When you select the form in the Unbounce builder, you will see options on the right of where the form confirmation goes. Under confirmation, select “Go to URL”, then paste in the url of the second step form, and make sure that the “Append form data to URL” is checked. 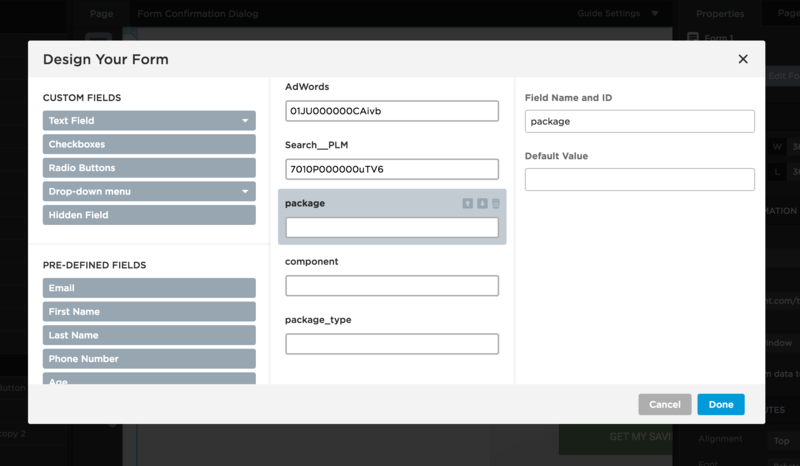 You will need to create hidden fields with the same field IDs of the form fields on your first step. If they don’t match, the information will not pass over. As long as you have all fields from the first step as hidden fields on the second step, you should be just fine. Now that your first and second step are linked together correctly, you can continue with your regularly scheduled programming of sending the second step form to your form confirmation dialog (or a thank you page). All done! There’s always more than one way to do something! Although this requires some development work, Noah Matsell from Unbounce has some helpful tips on creating multi-step forms within the same page/url. This means you won’t need to paste in the second form url as the destination of your first form. Note that this workaround allows you to create a form with one field per step, so this may not work for those who would like to have several form fields appear in a given step, however you can test out what works for you. Create your form in Unbounce. Create a new button element for your ‘Next’ button and one for your ‘Previous’ button. Keep in mind when positioning these buttons (and your form submission button) that only one field will be shown at a time. Update the script with the ID of your ‘Previous’ and ‘Next’ button elements. Tip: Make sure you exclude the ‘#’ in the ID. Copy the CSS from ‘multistep_form.css’ and paste it into the Stylesheets section of your page. That’s it! See the whole process and the required code here. It might take a bit of practice to figure out the correct questions to be asking on your first step, or to find out the type of language to use on your form; but that’s what conversion rate optimization is all about: testing and trying new things to see what sticks. Ask the questions your visitors want answers to, and ask the questions your sales people need answers to to give a prospect a more personal answer. If you give this a try, we would love to hear about your experience with a comment below. Remember, all your forms (multi-step or otherwise) need to be GDPR compliant by May 25, 2018. 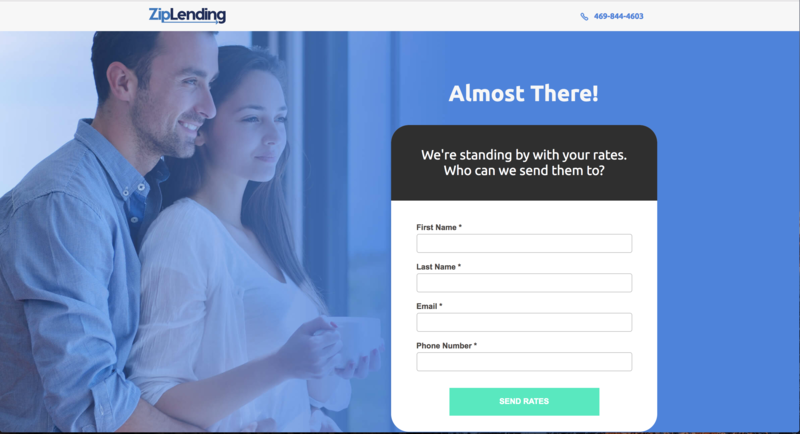 See how to make your landing pages compliant by design and allow a visitor to opt-in here. Bringing more than 8 years of experience in graphic design and conversion rate optimization to her role as Director of CRO at KlientBoost, Olivia has managed large teams in the execution of various landing page tests that have successfully increased conversions for more than 130 clients. An Orange County native, Olivia enjoys spending her leisure time watching films and playing video games with her fellow designers to create a work-hard, play-hard mentality which motivates all those who have the pleasure of working with her.